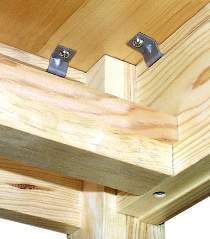 Screwed into the underside of the table top, this fastener locks into grooves in the table apron to secure the top to the apron. Extra heavy 14 gauge steel for strength and durability. 3/4" wide. Package of 8.